Dimensions 1.50 by 7.50 by 9.25 in. What matters in understanding digital media? Is looking at the external appearance and audience experience of software enough -- or should we look further? In Expressive Processing, Noah Wardrip-Fruin argues that understanding what goes on beneath the surface, the computational processes that make digital media function, is essential. 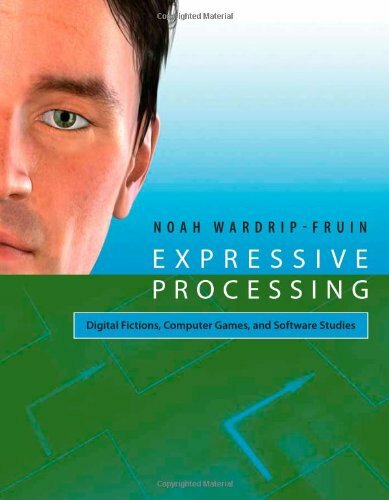 Wardrip-Fruin looks at "expressive processing" by examining specific works of digital media ranging from the simulated therapist Eliza to the complex city-planning game SimCity. Digital media, he contends, offer particularly intelligible examples of things we need to understand about software in general; if we understand, for instance, the capabilities and histories of artificial intelligence techniques in the context of a computer game, we can use that understanding to judge the use of similar techniques in such higher-stakes social contexts as surveillance. About: What matters in understanding digital media? About: From the complex city-planning game SimCity to the virtual therapist Eliza: how computational processes open possibilities for understanding and creating digital media.